I picked up a replacement for my 30 year old factory condenser that was beat to hell. The new condenser was $74 on Amazon. It is still a tube and fin design. The tubing looks nearly identical to the original. However, it looks to have about twice as many fins as the original. 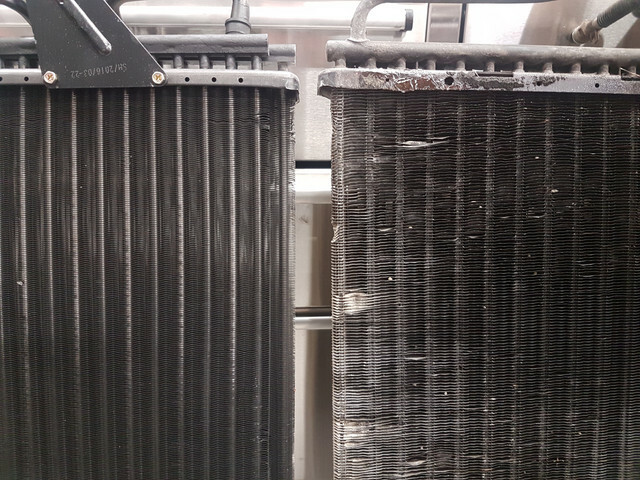 By blowing through the condenser, the Spectra does not impede air flow at all, while the original blocked about half of the air blowing through it, which would impede airflow to the radiator as well. It looks like it will easily outperform the original condenser!